The Path You Take: I thought this stretching crap was supposed to be good for me, so why does it hurt?? I thought this stretching crap was supposed to be good for me, so why does it hurt?? I got a really great question from someone on my last post, and I decided to put my answer a separate blog post. Here's the shorthand version: "You mention yoga and pilates in opposition to alignment, please comment further. Also, I am strong and flexible, but classical yoga poses hurt me. What's up with that?" First of all, it's not that I see anything in opposition to alignment, but rather lacking in alignment. In fact, some of the stretches and movements we learn from the insitute are very similar to some yoga poses. The difference is form. You can do the same pose in alignment and out of alignment and get totally different results. Take downward dog. It's a great pose to stretch the backs of the legs and open up the shoulders, but if you're doing it with your quadriceps contracted (legs straight with knees flexed) and your elbow pits facing each other instead of pointing straight ahead, you either a.) dont' stretch what you think you're stretching (shoulders) or b.) do damage to a joint while you're stretching (knees). So it's not that there's anything inherently wrong with the stuff you do in yoga, but how you align your body while you do it can be wrong and potentially damaging. Another thing to remember is that the poses in yoga were developed a very long time ago when people used their bodies in different ways. People walked to get where they were going, squat to go to the bathroom, and used their bodies all day in many different positions. The poses in yoga were appropriate movements for the population they were developed for. In a population that spends too much time in a chair, in the car, on a bike, on the couch, and that doesn't use their body in various different positions throughout the day, their muscles may be too short to properly execute a pose so it gets done in a way that puts strain on other parts of the body. Lets use a forward bend as an example. For a population not constantly in hip and knee flexion, the hamstrings would be long enough to allow a person to hinge at the hips and maintain an aligned spine (with lumbar curve). When you do the pose, you want your hands to touch the floor, or you want to get your head as close to your knees as you can. So you tilt your pelvis, bend your knees ever so slightly, and sacrifice your lumbar curve to get the "right" position. If you weren't already doing this all.the.time (while sitting, or while walking) then it might not be quite as stressful on your joints. But when you already have unhealthy habits or muscles that are at the wrong length or joints that are already being over used (knees) then this pose can be really painful, even harmful to you. Doing an exercise like this is just doing more of the same damaging joint loading that you already do, only you're probably pushing yourself a lot harder in the "exercise" context, so it begins to hurt. The problem with being strong or fit is that it can be arbitrary. Sure you can ride a bike for an hour, or do a really impressive bicep curl, but are you able to hang on a bar and pull your weight up? Are you able to do a pushup without bringing your shoulder blades together? Do you know how to use the back of your leg to hold your body weight instead of the front? It's cool to be strong, but of you aren't strong in the right places then it doesn't really matter. What's more important is that your muscles are the right length, and you have a one to one strength to weight ratio in your body parts. When your muscles are the right length they are better able to stabilize and keep space in your joints, so they don't start to hurt and wear out half way through your life. See why I didn't want to just put that in the comments section? And this is the nutshell version. I'm probably leaving out a lot, and I didnt' even put in any pictures, but there you have it: Why stretching hurts. 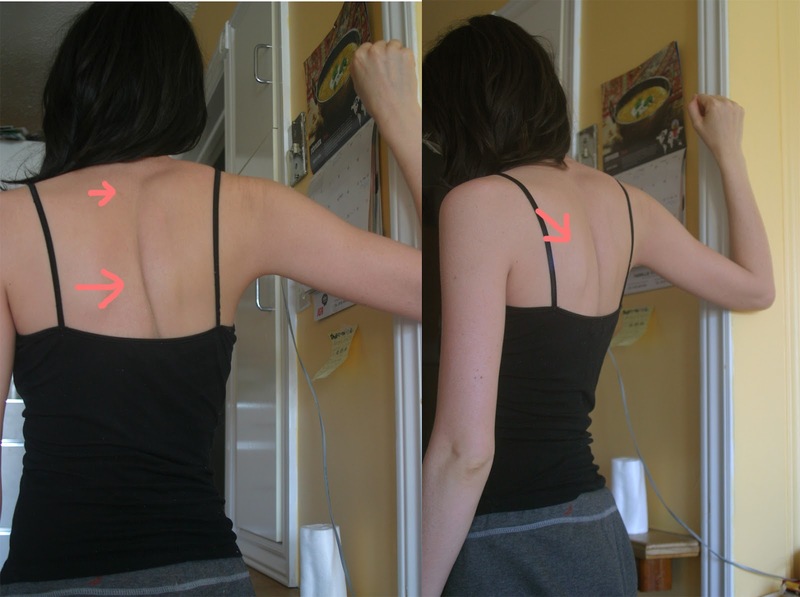 Whole body alignment is super important, but if you aren't moving your body in all different ways (not just one hour a day), then keeping your body aligned while sitting in front of your computer won't even matter. Thanks for that youtube link, I'll check it out for sure!! And yes, moving for more than an hour a day is really important. That's one of the main principles in the alignment course, is that moving for some random amount of time isnt' good enough. You have to move all.the.time. :) I dont' know a lot about fascia yet, so i'm really excited to learn more! !